SAVE THE DATE! Our annual Vocabulary Parade is on its way! Each student should select a word and turn it into a costume. Put your thinking cap on! How would you show the word ADRIFT? or POROUS? or ZIGZAG? From A to Z, students can consider the entire dictionary as possible wardrobe choices. Your child should have his/her word and definition plainly displayed on the costume (as shown in the illustrations). 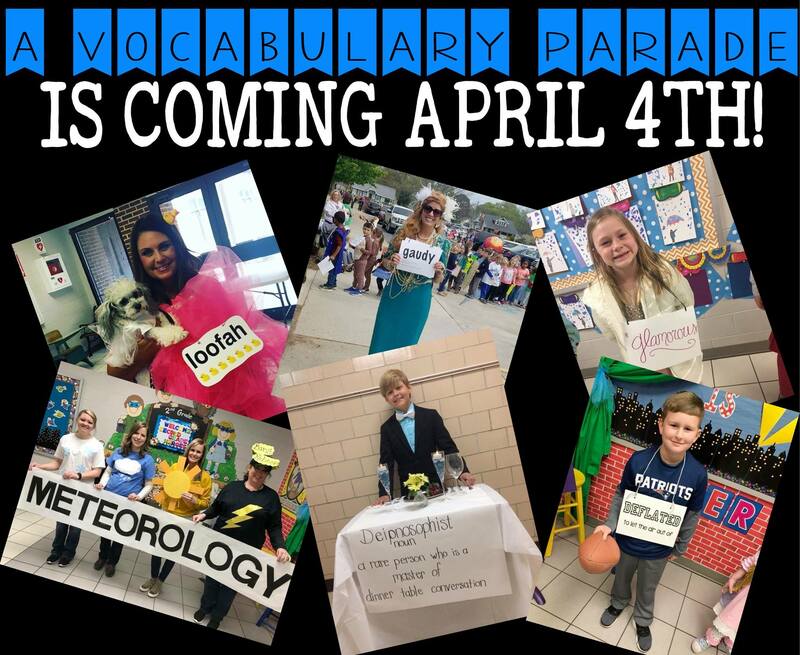 Thank you for helping us make vocabulary instruction into a Parade of Words! The parade will start around 1:00 p.m. The parade will travel out the front door of PES, around the sidewalk in front of the Middle School, down Brock Street, around the playground, in front of FEW, and back to the front door where it began. Parents are welcome to watch the parade from any of those locations.